Here in Rugby country we are blessed with a plethora of writers, visual artists, actors, musicians and dancers. 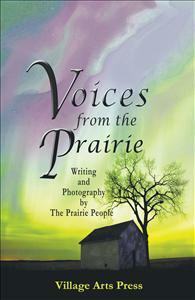 The writing and photography you will find in our book comes from people who live, or have once lived here on the Prairie in the very center of the North American continent. We are the Prairie People of the North. We live our lives out loud.